A quick second post today, I was playing along with Tuesday Morning Sketches. My sister Barb and SIL Judy were all chatting online as we indulged in some crafting time together. I turned the sketch, I layered cardstock and designer paper. I love the gold highlight on the top section. I heat embossed the sentiment in white on brown and popped it up with foam tape. For the decorative piece at the top, I used dots that looks like water droplets. 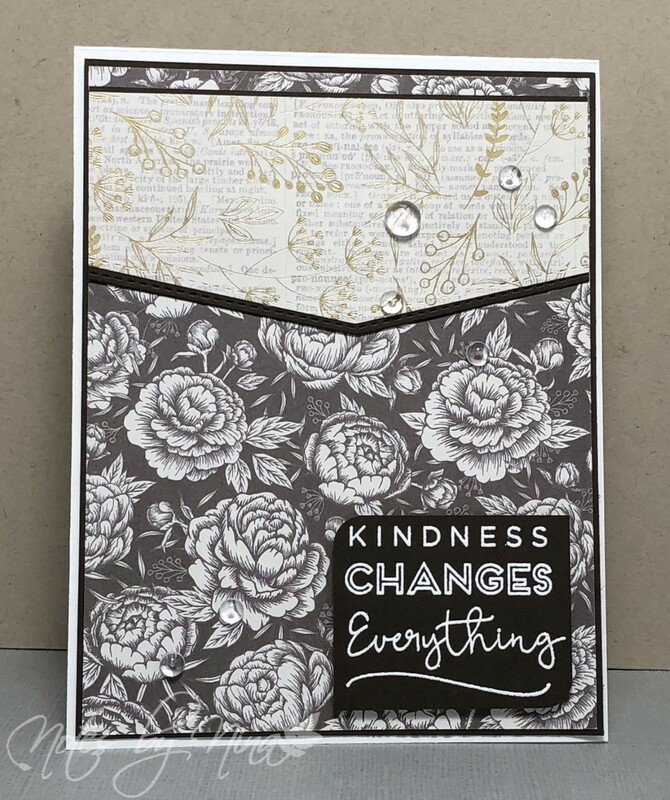 Supplies: White and brown cardstock, Designer Paper - Jen Hadfield, Close to My Heart - Create Kindness, dots. love your card ...and thanks for an awesome time. Hope we can do it again ...and thank you for sharing. What a pretty card with a wonderful sentiment too! I love the papers you chose with the black and white sentiment panel, but the top of this design looks great with the gold trim and water droplets! 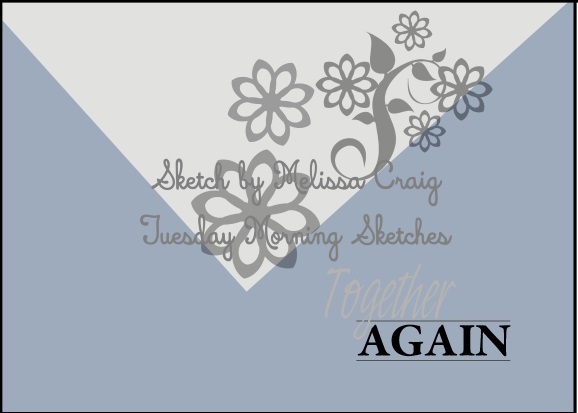 Thanks for sharing your card with the Tuesday Morning Sketches! So pretty! That paper is gorgeous and I like the sketch turned. Thanks for joining us at Tuesday Morning Sketches. This is so very elegant - beautiful job on it Nina. Thanks so much for creating with us this week (already!) at Tuesday Morning Sketches! Beautiful take on the sketch!! Your papers are gorgeous, and I love the "water spots"! So cool that you ladies create "together"!